Curious about summer in Japan? Here I give you some examples about how it feels from the view point of Gifu City, Gifu Prefecture, Central Japan. Not exactly a whole Japan in but at least, it happens in many places. First of all, pardon my English. In order to strengthen my writing skill, I am trying to write in English hehe. Please correct me if I made mistake. The maximum temperature could be over 40 Celsius degrees. In Gifu City, the place where I'm standing around, this summer (2018) reaches 40 Celsius degree, while in Tajimi Ciy, the other city in Gifu Prefecture which has the highest temperature in Gifu, the temperature can reach 43 Celsius Degree. Don't ask about how it feels. In many apps, it was said that it feels like over 50 Celsius degrees. However, in northern Japan like Hokkaido or above Tokyo (in map), the temperature will be a little bit lower than Gifu. Speaking of which, Gifu Prefecture is the hottest area in Japan during summer. Literally hot. Gifu, with the very high humidity, imagine that you live inside the steamer. High humidity comes from the transition period between Spring and Summer. There is almost 2-3 weeks full of rain, with the high discharge. When the transition period ends, later it comes to the Summer with less rain. Scientifically, the water stored in soil will percolate up to the surface and being evaporated to the atmosphere. Unfortunately, Gifu, or let me say the place where I am living at, is surrounding by the hills. Obviously, the wind comes from the hills down, but because we are surrounding by the hills in every side, so there is no place for wind to flow. It is like the accumulation of wind, so that we feels like we live above the kettle full of hot water. Besides that, on around June to September, typhoons come and go, resulting more discharge. Sometimes, it causes flood in Nagara River and many rivers surround. As mentioned above, summer in Japan and other islands area has a connection with typhoons. At least twice in a month our area will be attacked by typhoon. Halola, Nanka, Soudelor, Number 18, Number 17 etc, those are the names of typhoon. Okinawa is the island which always be hit by the typhoon attack. This year, I experienced Jebi typhoon, the strongest typhoon during 2018. It was huge, like Trump said. And dangerous. Jebi typhoon caused huge damaged to Kansai International Airport, and many places. Typhoon is literally a tropical cyclone in a mature phase. Typhoon are capable of generating high waves, strong wind, tornadoes, and tsunami. Why typhoon can be born? It needs about 6 requirements for producing typhoon, according to Wikipedia: sufficiently warm sea surface temperatures, atmospheric instability, high humidity in the lower to middle levels of the troposphere, enough Coriolis force to develop a low pressure center, a pre-existing low level focus or disturbance, and low vertical wind shear. I won't to explain it in advance because of my lack of knowledge. Generally, typhoon appears on between June until November, because between December up to May, God is doing the preparation for cyclone formation. During typhoon period, each school will take one day holiday on the day of typhoon comes, in case if the typhoon goes very strong. And, in my experience, every typhoon period, I need to change my umbrella at least twice. In Japan, if the forecast says will be attacked by typhoon, they will delay or cancel all the flights, trains, and other public transportation. A kid can be flown away by typhoon. For the people who come from tropical area like Indonesia, Ecuador, Brazil, some countries in Africa etc., summer in Japan just feels like home. Summer is when we can eat tropical fruits and vegetables, such as water spinach (kangkung, Ipomoea aquatica), pare (Momordica charantia), mango obviously etc. We can also see tropical flowers like Zinnia (kembang kertas), bougenville, Cosmos (kenikir), Portulaca oleracea (krokot), Hibiscus (kembang sepatu) and also Ground cherry (ciplukan/ Physalis angulata) and of course Himawari (sunflower). You will feel like you life in tropical area, just like your granny's home. The greatest things about summer in Japan is fireworks. You can enjoy this festival around Japan. They even have the festival on the same day. Fireworks festival generally will be held every late of July or early August, located near the rivers or the sea. Gifu is famous with the big fireworks festival for twice a year, at the end of June and the beginning of August at Nagara River close to Gifu Castle. Gifu Newspapers and Chunichi Newspaper are the main sponsors of those festival. Other than that, Gifu Fire Festival during day time and fishing performance at Ukai festival at night are another option to enjoy summer in Gifu. Speaking about summer, just like another tropical countries, it is full of insects, bugs, snakes, mosquitoes and many other extra-disgusting animals. You will always find centipedes around your house during summer. Somehow, you will find snakes on the middle of roads. 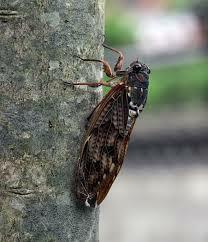 But, you can also enjoy summer orchestra by Semi insects. Sounds good and relaxing. Summer in Japan will not complete without experiencing paranormal activities. There is a festival during the middle of August named Obon, where it is believed that all the old souls will come back to their home and family. During Obon, Japanese people will return to their homeland and visiting graveyards. Some people said that they experienced paranormal activities during Obon. Apart from it is true or false, Japanese people are into ghosts things. Obake Yashiki or Haunted House is very popular in Japan. 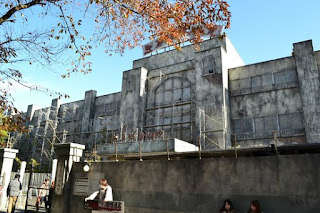 The biggest Haunted House is located in Fuji Q Highland, under mount Fuji. I went there once in 2014. I can barely say that the Haunted House in Fuji Q Highland is the biggest, the longest, the scariest and the most real one. Rumor has said that the building is a real deal. An old hospital during world war. My experience, when me and my friends, Owaki and Wang, entered the second stage, which is the hospital, another aura could be sensed. It was dark, smells humid and smells paranormal. The last stage will be the scariest one. It was about 20 "ghost" were hiding and suddenly appear reaching you. In Gifu itself, Yanagase Haunted House is the famous one. I experienced there once in 2013. There was Kuchisake Onna (a girl with a big mouth) asking "Am I beautiful?". It is believed that when she asks you that question, whatever your answer, Kuchisake Onna will bring your soul. What's my answer? "I am the most beautiful girl in the world". And guess what? The girl who played Kuchisake Onna couldn't help herself to stop a little bit and laugh like she failed her job to scary us, the guests. Those are some parts about summer in Japan. About the food and other things, I will write in another article. Is there any other experience from you guys? Please send me the story on comment column below.